TOKYO — It didn’t hurt, but it didn’t feel good. The awkward feeling in Shawn Armstrong’s left side was just uncomfortable. But with a flight to Tokyo the next day and the 2019 season looming, he shrugged it off. It was just his second pitch of his outing last Wednesday evening in Arizona and he wanted to get his full inning of work in, which he did. Armstrong underwent a MRI in Tokyo that revealed a Grade 1 left oblique strain. 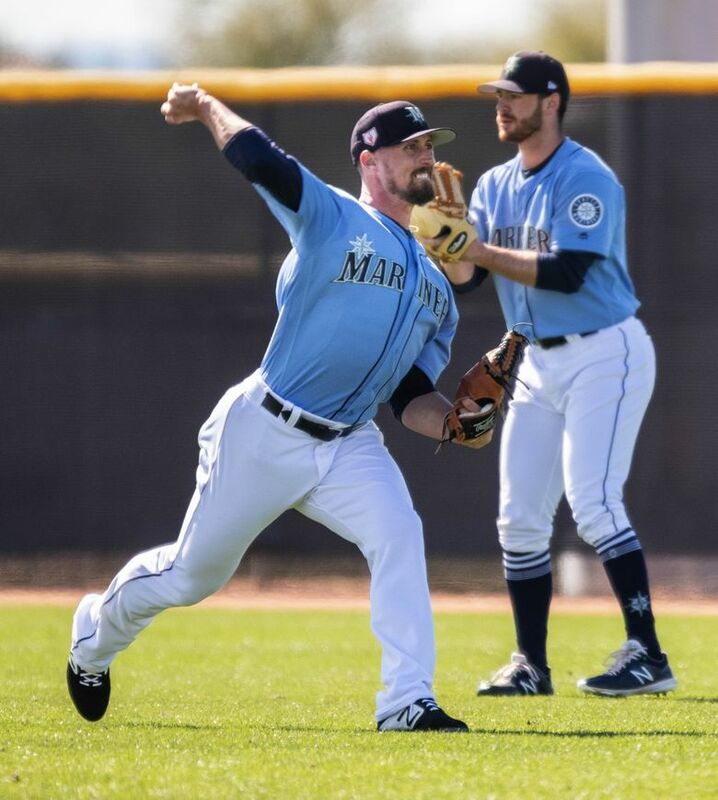 He was one of five players placed on the 10-day injured list on Wednesday morning as the Mariners prepared to open the 2019 season later that night against the Oakland A’s. It’s the first he’s been placed on the injured list. “He’s going to be out for a few weeks,” manager Scott Servais said. Armstrong hopes to begin throwing when the team returns to Seattle in a few days. It’s yet another issue for a bullpen that came into the season as a perceived weakness of the team with several inexperienced young pitchers expected to contribute. Besides Armstrong, veteran right-hander Anthony Swarzak (shoulder impingement), flamethrower Gerson Bautista (right pec strain) and right-hander Sam Tuivailala (Achilles surgery) are also on the disabled list to start the season. Armstrong was expected to make the club and pitch in middle relief with the chance to throw in some leverage situations. He posted a 1.23 ERA in 14 appearances late last season with Seattle. Meanwhile back in Arizona, center fielder Mallex Smith continues to progress in his recovery from a right elbow strain. Smith has yet to play in the outfield in a game during the recovery. And that’s a serious hurdle that must be cleared before the Mariners can put him on the active roster. The Mariners believe Smith will be ready for the home opener vs. the Red Sox on March 28, which is why they didn’t place him on the injured list for the two games in Japan. Despite not being in Japan, he’s on the 28-man roster for the two games but listed as inactive along with Felix Hernandez and Mike Leake. If Smith isn’t ready to go for the home opener, would the Mariners consider keeping Ichiro on the roster for that series?